There was a woman who lived alone in the woods with her young son. Every day from sunrise to sunset, he played among the trees. 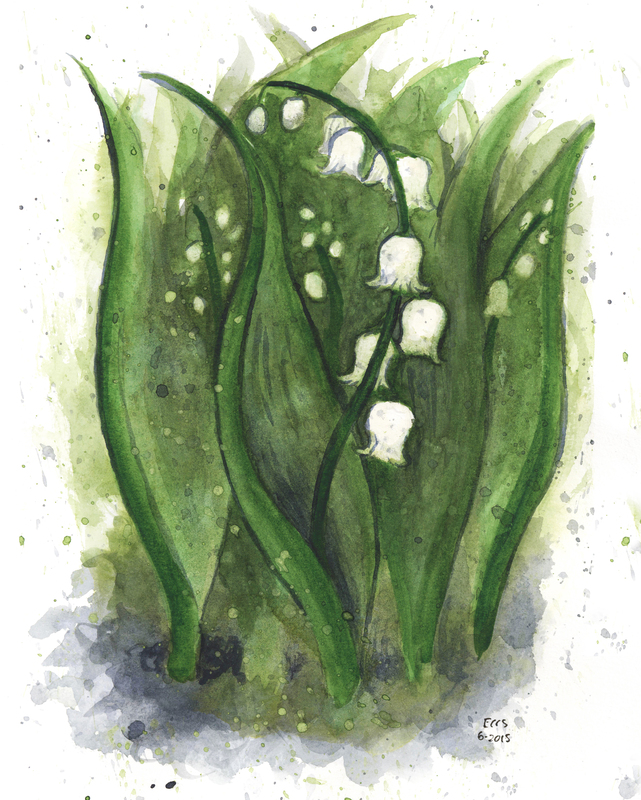 One day, he returned with a handful of lily of the valley. The woman smiled at this, thinking that her son had made an imaginary friend in the woods. She placed the lilies in a small vase on the table, and the family went about its business as usual. That evening as she tucked her son into bed, she saw a star shining brightly through the window glass. She kissed her son on his forehead, and went to bed herself. The next morning, he did not come to breakfast when she called. She went to his room to check on him, and found him dead. He looked as if he were still asleep, clutching a new bouquet of lilies. Traditionally, lily of the valley is associated with happiness, humility, and the return of joy. One of the first flowers that blooms in the springtime, it can be found naturalized in country gardens and shady forests. Other names are may lily, may bells, and ladder to heaven–the name which inspired this story.